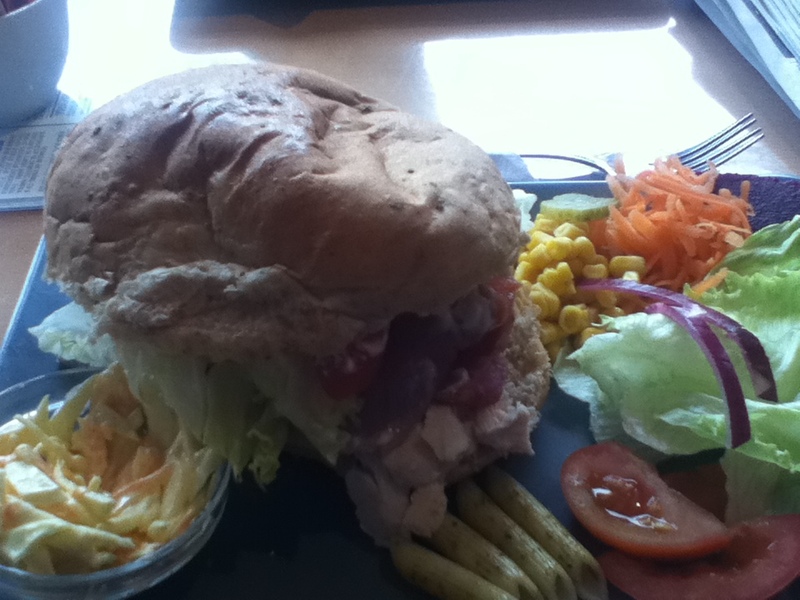 The taste is an ‘expresso and sandwich bar’ that is tucked away on Clumber Road just 20 yards or so from the junction with Melton Road in West Bridgford. Inside there were a fair number of tables and seats which were filling up rapidly when we walked in at about 12 o clock. I would say there was room for about 15 or so, but there are also tables outside at the front and in the yard at the back, so I expect that would be really popular in the warmer weather. It all seems to be quite relaxed and I got the impression that there are a lot of regular customers. There is a very good looking and comprehensive chalk board menu, and plenty of nice looking bits and pieces of the deli variety in the glass fronted counter. 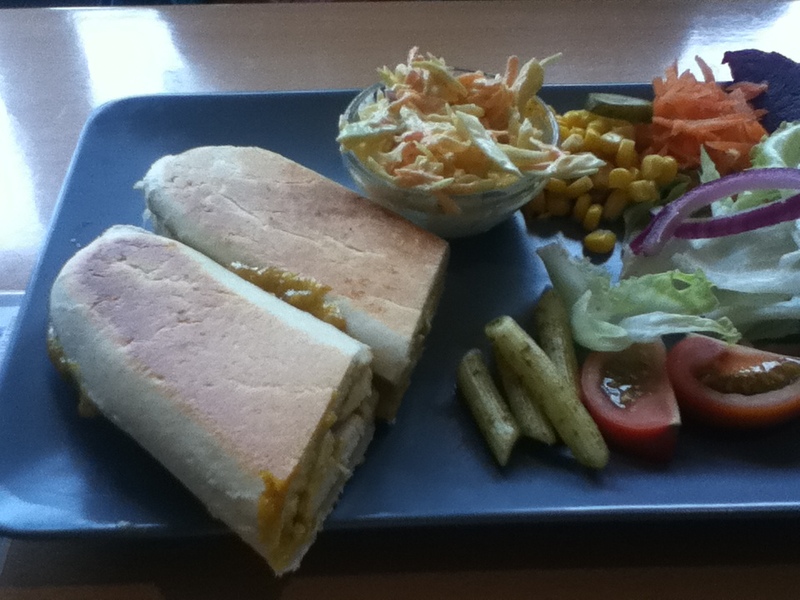 My companion had the ‘home made coronation chicken’ in a hot panini. I had a little slice of that and it really was quite a delicious filling. A little richer and creamier and less tangy than some coronation mixes, I think I liked this style or recipe a lot more. I might have to get that next time on another visit. 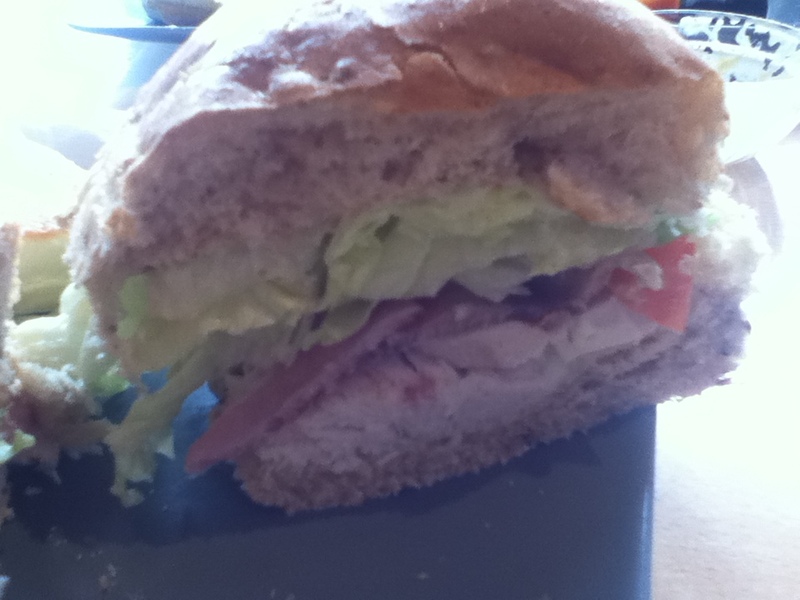 You were treated to the same salad combination for all of the different paninis and sandwiches. This was a real steal at just £3.40. Quite a few people in the place were having the daily soup specials. They looked to be really good value at ‘I think it was’ £2.50 or £2.80. Today’s offerings were either ‘Leek and Potato’, or ‘Carrot and Coriander’ I saw both come out of the kitchen and you got a huge bowl and a great big bread roll to dip into the soup. Perfect for a chilly day. 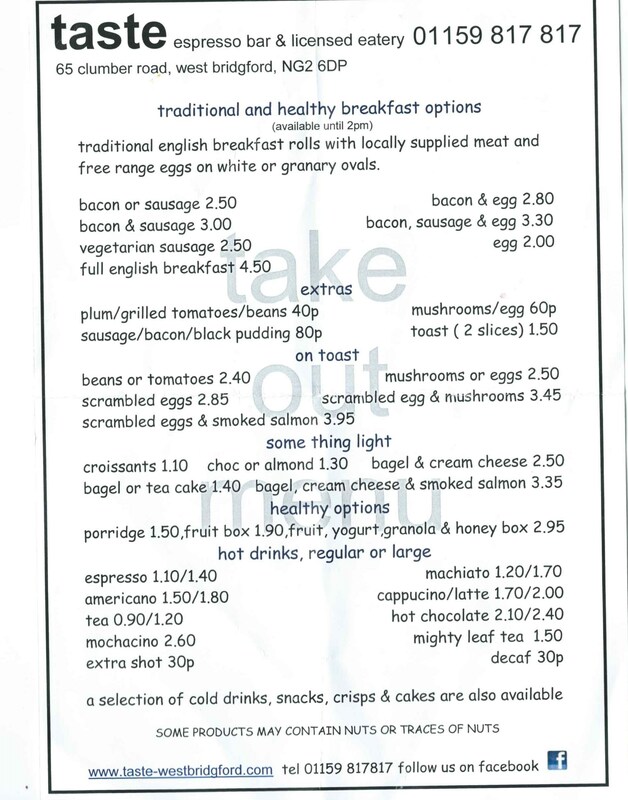 Not only that but they also look to do quite a good selection of breakfast options which they serve until 2pm. Apart from the standard combinations of eggs, sausage, and bacon. 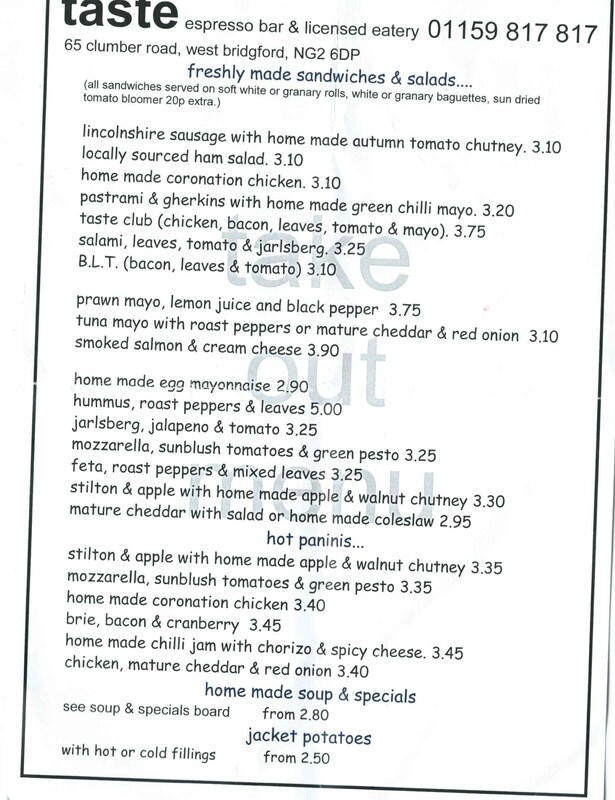 I would be quite keen to come back on a weekend for some ‘scrambled eggs & smoked salmon’ at £3.95 throw in a latte and a sunday paper and I could quite happily spend half and hour annoying someone by clogging up a table. 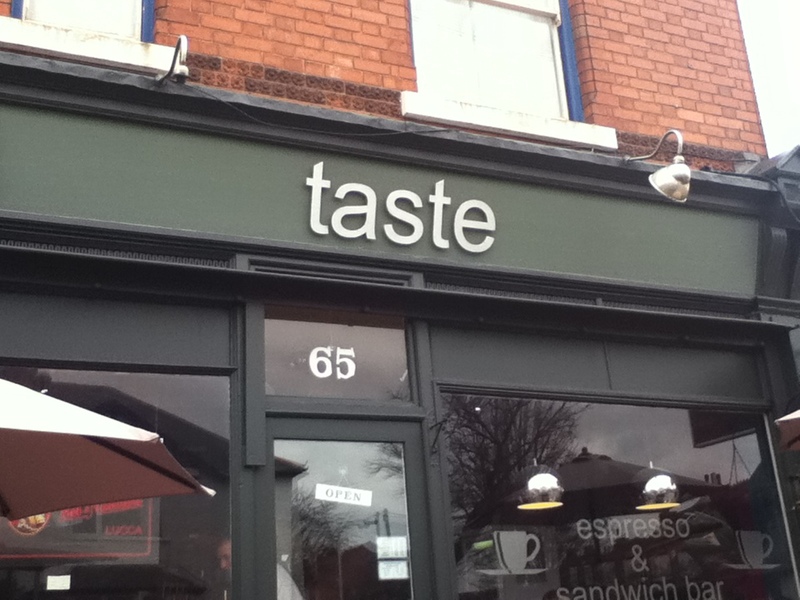 The Taste is located at 65 Clumber Road in West Bridgford. There are a couple of parking spaces out front, but apart from those you are looking at street parking. 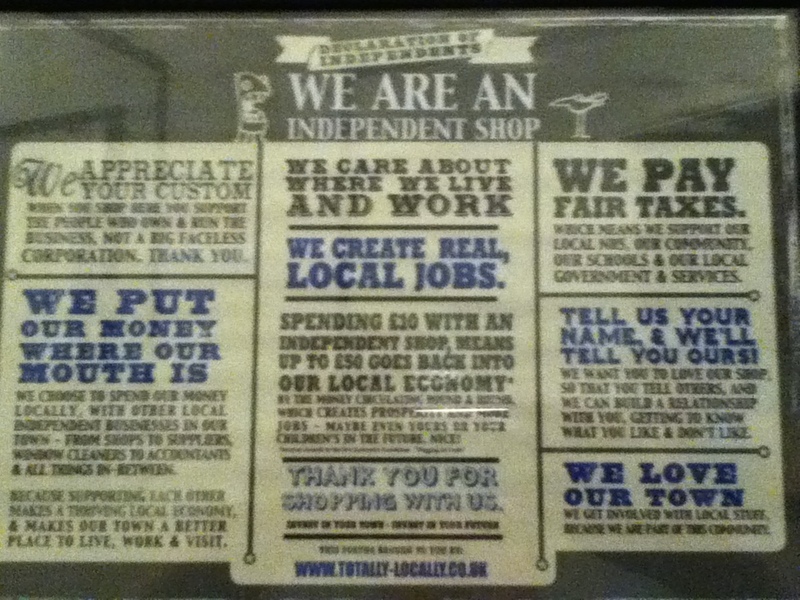 It is well worth a visit if you are in the Melton Road area. The Melton Road area is becoming West Bridgford’s worst kept secret! I recommend going there when one of the monthly markets is on for an extra “buzzy” atmosphere.